Features: Condition:100% New Professional Straight Razor Ideal for Barber Shops and Hair Salons Use Please use with caution as the blades are extremely sharp Come with 5 pcs blades Fold Razor Legth:14cm/5.51" Fold Razor Shank: 13.5cm/5. Hand Produced Steel Cut Throat Razor With Stainless Steel and Plastic Handle. NEW BARBER S TRAIGHT C UT T HROAT S HAVING R AZOR. Features: 100% brand new. One of the most popular, nostalgic tools of all time. The straight razor has been around for centuries and continues to be a worldwide favorite. This stylish folding razor offers a solid stainless steel blade with a mirror finish. The Wood handle is contoured to fit perfectly into your palm. Great for shaving and hand produced for optimum performance. It would make and excellent addition to any razor enthusiast's collection. NOTE: For being safe, maybe the razor is not sharp enough. You need to sharpen it before using, thank you for your understanding. Specifications: Blade material: Steel. Handle material: Wooden Steel.. Quantity: 3pcs per set. Material: abrasive pastes. 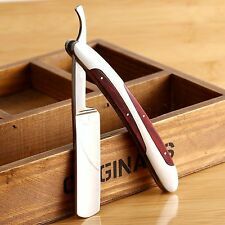 Enables you to put a sharp polished edge on your straight razor blade. Most Unusual Antique 19th Cent Bloomed 9ct Gold Chatelaine Bi-fold Vinaigrette We date this unusual chatelaine vinaigrette to the 1870-80s decade of the 19th century. 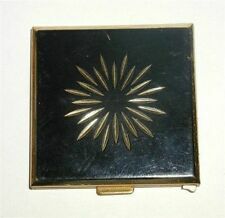 It is not marked and has all the appearance of being made using 9ct gold and bloomed with a frosted gilding. There is no way of testing this without an spectrometer but we are confident we are correct. Notwithstanding it is a most interesting chatelain piece. The book shaped case is ornately engraved with scrolls and flower motifs. It has a case like flap to the top, under this is another flap that opens to reveal the pierce vinaigrette grill with leafy scrolls. 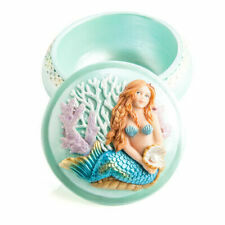 This covers the compartment for the pleasant scent sponge. There is an “arrow” jump ring at the top to attach it to the chatelain or hang from a chain. 1 Hone stone. 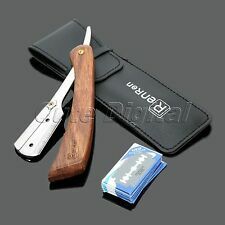 Great hone for straight razor, folding knife, blades, small kitchen knife, wood chisels, fishing hooks and etc. 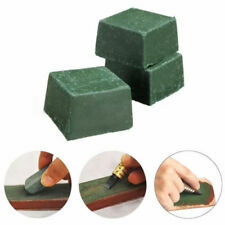 Very hand y small sharpen water stone. Stone Material: natural water stone, 3000grit. Great for keeping razors, dagger, hunting fishing knives, kitchen knives, leather cutting tools and woodcarving knives at maximum sharpness. With wooden handle, easy to use. The leather polish sharpening strop one side is smooth stropping surface, another is rough surface. Nail Care, Manicure& Pedicure. Type: Razor Sharpening strop strap. 1 x Razor Sharpening strop strap Only. The strop has a handle at the bottom and swivel hanging tab on the top end for ease use. Shaving & Hair Removal. 1pc x Leather Polish Sharpening Strop. Great for keeping razors, dagger, leather cutting tools and woodcarving tool at maximum sharpness. Detail Image. Canada, United Kingdom, Austrilia, France, Germany, Spain, Ireland, Italy, Others. Description: Great for keeping razors, dagger, hunting fishing knives, kitchen knives, leather cutting tools and woodcarving knives at maximum sharpness. With wooden handle, easy to use. The leather polish sharpening strop one side is smooth stropping surface, another is rough surface. Both sides can be used. Worth buying. Features:. We are committed to resolve all issues in a friendly and satisfactory manner. Color: As the picture shown. Material: abrasive pastes. 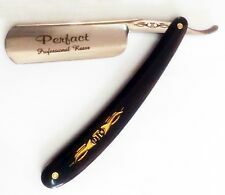 Enables you to put a sharp polished edge on your straight razor blade. Color: green. Rate (item arrived). United Kingdom. 3Pcs Leather Stropping Honing Leathercraft Tools. Color:Green (As Pictures Show). Canvas Leather strop used for final touching after honing straight razors. The strop has hanging tab for easy grip. 1 x Sharpening Strop. Double side available, to use canvas layer to fine sharpeness and use leather layer to sharpen razor. 12 small brass cup washers for straight razor restorations. These are small, rounded shoulder cup washers that are as close to factory originals as you will find. Cup washers have dual walls for extra strength and will not flatten, or break down, during the peening process. Material: genuine leather, wood. Leather on both sides. We will respond as soon as possible. 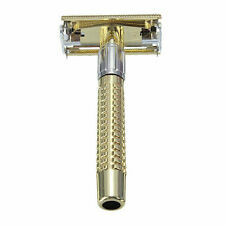 Stainless steel barber razor is used for shaving, cutting hair, ideal tool for Barbers and hairdressers. Suitable for barber salon or personal use. Item Type: Barber Razor. 1 x Barber Razor. Made of stainless steel material, anti-rust and durable use. Daiso Japan Shave Brush. I'll send you a new one, not that one I used to take a picture of. High Gloss Acrylic Display Box. Material: Acrylic. 1 x Acrylic Display Box. 1st Row - 1-11/16" x 6" x 2" (43 x 152 x 50mm). 2nd Row - 1-11/16" x 6" x 2" (43 x 152 x 50mm). 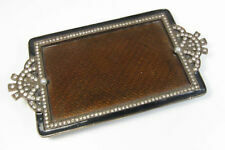 3rd Row - 2" x 6" x 2" (50 x 152 x 50mm). The sharpening strop with 2 color and 3 layer composite board, very durable and. 1 x Sharpening band. 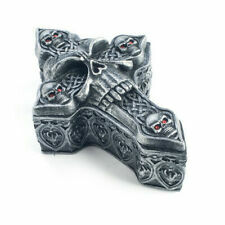 Perfect for polishing Straight Razor. Keep you razors sharp, and longer them. life.Perfect for polishing gold, silver, brass, copper and aluminum. Sweeney Todd Demon Barber Straight Razor. Johnny Depp / Sweeney Todd Movie Replica. Nice Straight Razor Design! For safe reason the razor is not sharp enough. Sharp Stainless Steel Blade. Material: Stainless steel for blade. Strop Material: Canvas and PU Leather. Material( B lade):4 4 0 stainless steel. These are beautiful new folding straight razor, features handle, Great for shaving and hand produced for optimum performance. The two-edge shaving razor SAIVER. Classic T-razor with the ability to use one or two blades. The handle of the razor unscrewed, made from ABS quality plastic with the application of a notch. Pad (black) is made of plastic. 1 X Sharpening Cream. Grinding knife paste grinding can extend the life of the knife. Color: Green. Due to the difference between different monitors, the picture may not reflect the actual color of the item. Quantity: 6Pcs. Material: Crystal Glass. Due to the difference between different monitors, the picture may not reflect the actual color of the item. 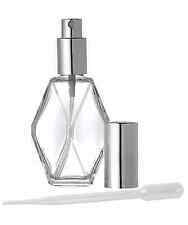 Suitable for those narrow fine tip funnels for very small top of bottles. 10Pcs Small Funnel. Main Colour:Clear. Small and light weight,easy to carry. Quantity:10Pcs each bag. Due to the light and screen difference, the item's color may be slightly different from the pictures. Gillette Slim K2 safety razor with case. Razor is in very good condition with very little wear. The TTO opens and closes just like new. There are no blades. "Feather F system Samurai edge blade 8 co-On "is the SiC to form a friendly cutting edge of the per skin (ceramic) coating processing of the shaver (razor) blade (3 blades). It does not put an extra burden on the skin. Strop used for final touching after honing straight razors. 1 x Leather Strop. Ideal for straight razors, sharpen knives and chisels. Material: Genuine Leather. Total length: 48cm. Color: As the picture shows.